Lots happening with Teen Flight these days. We are at Oshkosh with our airplane. We are located just North of the control tower right next to the Young Eagles headquarters. If you are there, stop by and say hello. Better yet, attend our forum on Tuesday July 26. Congrads Folks you Guys have made a Wonderful Aircraft there! Congratsssss…..and Gives a nice impression of the group work. Good Luck with the First Flight.!!!! TeenFlight II has now been underway since the end of September 2011. I have only participated in this second project at a consulting level, but thought I would post some info. here since I know a lot of you followed the first project closely (Many of you were a big encouragement... Thank you). TeenFlight II is being staffed by quite a few of of the mentors from the first project, and some new ones that came on board. Also, 5 of the original Team Members have gotten involved as Teen Mentors. The blog site has recently been getting some updates posted so click over once and a while to check out the new team and check their progress. Hopefully this thread is still getting some views. TeenFlight 2 has been progressively working through the kit and has made lots of progress. Between September of last year and the end of May this year we have been out at the hangar every Saturday for six hours building. As with the first year of the original TeenFlight there was a decision to take the summer off with sporadic work sessions here and there. Here is a quick overview of the TeenFlight progress this year. September 2011-December 2012: Students and mentors began work on the empennage kit late in the fall of 2011 and the wing kit arrived before Christmas. The right wing was assembled first after the completion of the empennage. January 2012: The fuselage kit magically showed up in the hangar one morning in early January and all eagerly jumped in to it. The center bulkhead took a few weeks to match-drill etc... but by the end of the month the center section of the airplane was fairly well complete and the forward lower firewall was eagerly awaiting its union to the fuselage. The roll bar was assembled and the entry steps were prosealed against water. February 2012: The tailcone was mated to the fuselage as was the forward lower firewall. The project really started to look like an airplane. The fuel lines were installed and the flaperons were started. Also the interior of the plane was painted at the Vans Aircraft factory (we at TeenFlight have a very good connection with Vans Aircraft). Mr. Paine came out and wrote us up at the end of the month and his article was published in the this month's edition of Sport Aviation. March 2012: Our rear window was inserted, matchdrilled and taken out for later use. The left wing was assembled and finished. We are installing the optional lighting kit so the wing was cut open to make holes for the lights. More work was done on the fuel lines and the fuel tank was begun. April 2012: Our options kit arrived, and the big focus this month was WIRING! It actually took us well into May and there are still things that are not complete. The landing gear were assembled and the cowling started to be ground down to size. Some flight controls were started and the empennage fairing was begun as well. Some restructuring of the program went on as well to provide a more balanced student to mentor ratio. May 2012: The wings were fitted, and temporarily installed. The flight controls were mostly completed, the flaperons finally were finished, and the fuel tank got its cover. The tail feathers were attached and the cowling was fitted. The canopy was also fitted, and a few monkeys wrestled it (beat it) into submission. Before the program was closed for the summer, the canopy was drilled and the avionics panel was wrinkle coated black. I'm sure that I have missed a few things but that is the main progression of the build. As always check out the blog. 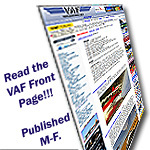 It has the article from Sport Aviation as the first item on the homepage. Some of the crew from TeenFlight 1 have obtained their student pilot certificates and at least one of them is on track to have his license by the end of the year. In fact one of the TeenFlight 1 builders who is mentoring in TeenFlight 2 is on track to have his private by Oshkosh and there is a chance that he will be flying N212TF into Oshkosh. TeenFlight will be represented this year at Oshkosh by representatives from both TeenFlight 1 and 2. NOTE: The information, ideas, and opinions presented in this post are my own and not those of my employer. Build, test, and fly at your own risk. Excellent work. These kids are putting me to shame with the progress they're making!